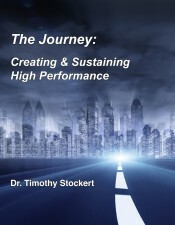 "Maximizing Organizational Potential through INNOVAtive Leadership Since 1986"
Dr. Tim Stockert new book, The Journey: Creating & Sustaining High Performance, is now available! The book provides insights into how a multi-phase strategy of Recognition, Reinvention, Reinforcement, Repetition, and Renewal can be used to transform base level or underperforming organizations into high performing learning organizations: organizations that create value and maximize business and human potential faster than their competition. Please Allow 3-5 Days For Printing Before Shipment. Thank You. Organization Development is the change management process used to create and sustain high performance organizations. Developmental Leadership is the cultural catalyst for creating and sustaining high performance learning organizations. 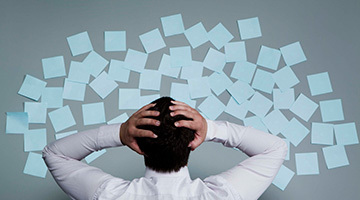 Project Management is the governance methodology, process discipline and tools and techniques used to guide and direct unique and temporary work. To be marketplace relevant in the 21st century, organizations must constantly learn with customers to be better, faster, and more value added than competitors. In other words, they must be High Performing Learning Organizations, proactively pursuing excellence and maximizing potential for the common good. 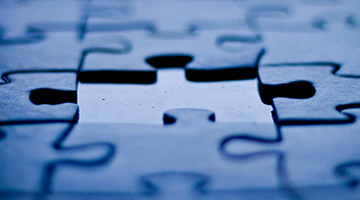 INNOVA Group supports organizations in their quest to be high performance.